Royal Doultons Florence Barlow is one of Doultons most popular and most collectable artists. Florence was born in 1856 at Hadlam, Hertfordshire, England. Florence Barlow was employed at the Doulton Lambeth Art Studio from 1873, producing her renowned bird, animal and floral studies for nearly forty years. Florence and her sister Hannah worked together and the two women were prominent in the field of decorative arts long before Clarice Cliff and Susie Cooper. Yet they are only now being recognised outside the Royal Doulton circle of pottery collectors. 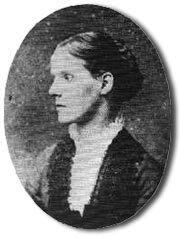 Hannah and her sister Florence were two of nine children born to Benjamin Iram Barlow (1813-1866), a bank manager, and his wife Hannah (1816-1882). 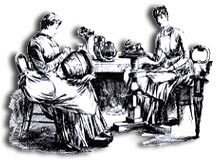 In 1871 Hannah Barlow, along with several other students (including her brother Arthur) were employed by the doulton lambeth pottery to decorate salt glazed stoneware. Hannahs country upbringing led her quite naturally to a love of nature and she later put together a small private zoo at her home. Florence Barlow eventually joined her sister at the Doulton factory. The sisters immediately decided that Florence would paint flowers and birds and Hannah would concentrate on horses and other animals. Florence Barlow’s fine work featuring her favourite subjects, birds & flowers and decorative vases produced by Florence Barlow in the late 1890’s sell for around £800-£1500 depending on condition. The nineteen inch ewer style vase at left was produced at Doulton’s London works around 1895 and recently sold at auction in early 2007 for £1250.00. Florence Barlow marked all her wares with a distinctive monogram which differs to her sisters. Again her monogram is easily recognisable once you have seen it, and the style and quality of her work is easily recognised even when the FB or FEB monogram is missing or illegible. Doulton and other ceramics collectors are quickly growing to appreciate the superb detail in Florence’s bird studies and prices are on the increase. Her pieces are not seen as often as Hannah’s and they never fail to sell well at either local or national auctions. Work by Florence Barlow … Online internet auction interest has grown considerably and her work is becoming rarer. Like Hannah Barlow’s pieces, Florence Barlow’s work is fast becoming a sound financial investment.